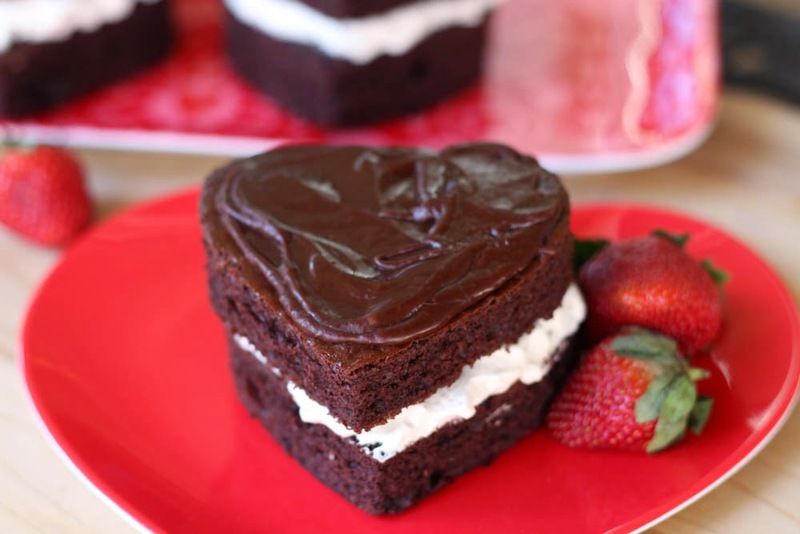 Here is a delicious treat you can make your Valentine! 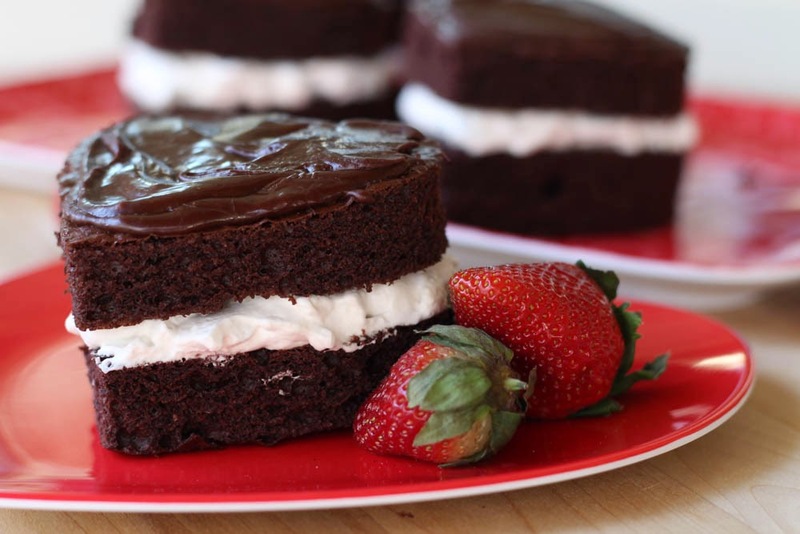 Strawberry whipped cream sandwiched between two layers of tender chocolate cake and topped with my favorite chocolate icing! Yes Please. This treat looks fancy, but it really is not hard to make. Don't be scared of the many steps involved, these really are quite easy to put together. I have pictures showing each step and I'll walk you through them. Start with the chocolate cake. 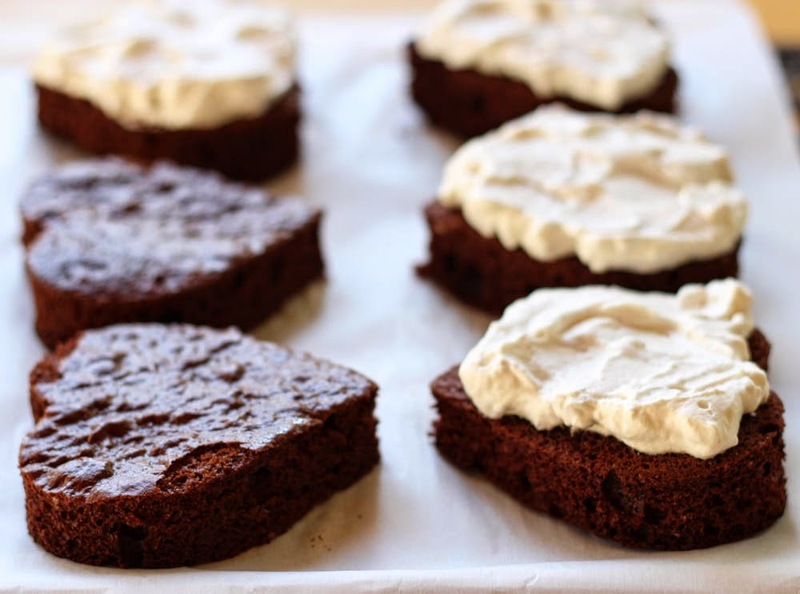 This is my all time favorite, go-to chocolate cake recipe. 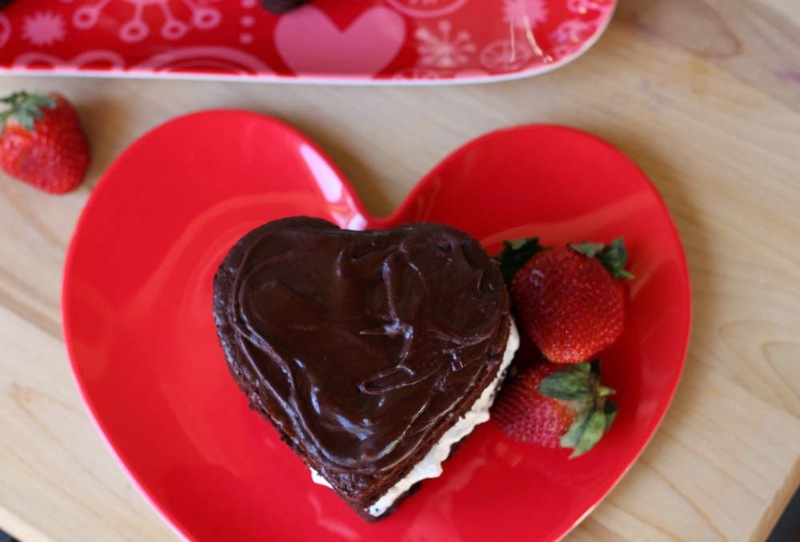 I usually make it in a bundt cake pan, because that is my favorite cake shape, but for these heart cakes, I baked it in an 11 1/2 x 16 1/2 ( I know, odd size ) cookie pan. Use whatever jelly roll sheet you have. My cakes came out thick. You could easily use a larger pan for thinner cakes. 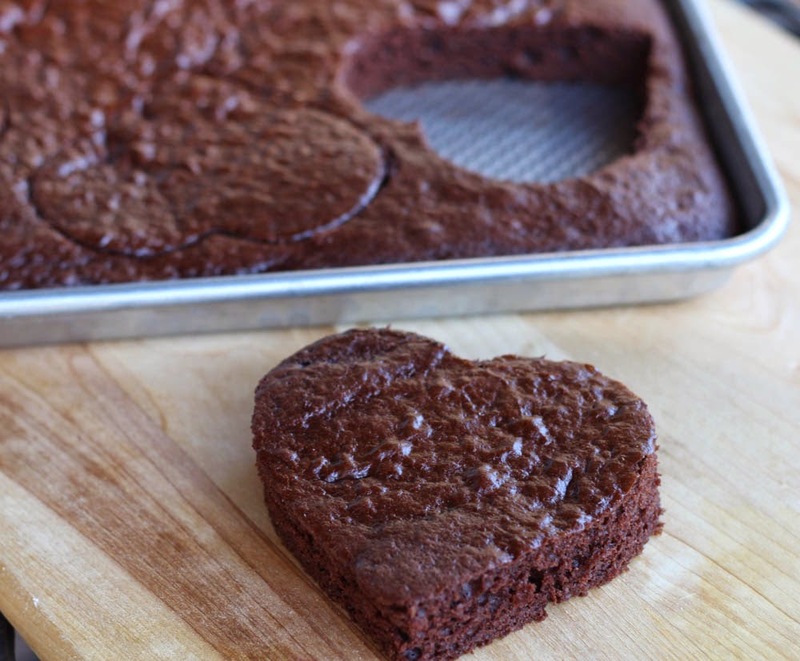 After the cake is baked and cooled completely, you can cut out the cute heart shapes. My cookie cutter was large, 4 in wide, so it made larger cakes. I was only able to cut out 8 hearts to make 4 cakes, but that was perfect for me because there are 4 in our family!! Obviously a smaller cookie cutter will make more, smaller cakes. The whipped cream is simply heavy whipping cream whipped to soft peaks with strawberry jam whipped in at the end. I love the combination of chocolate with strawberries, but raspberry jam would be delicious too. 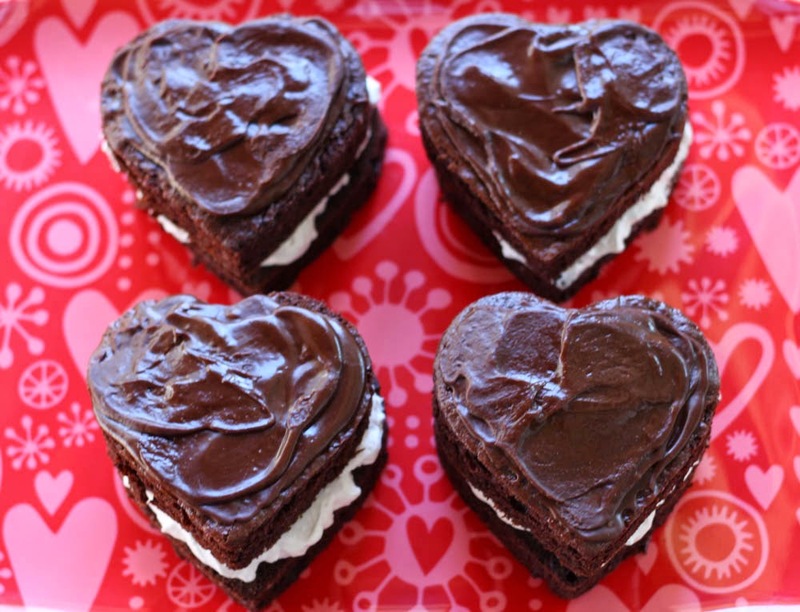 I then topped the heart cakes with my FAVORITE chocolate icing. I have been known to eat spoonfuls of the leftover icing. Sooooo good! Enjoy these with your sweethearts!!!! Lightly grease pan with cooking spray and dust with flour. 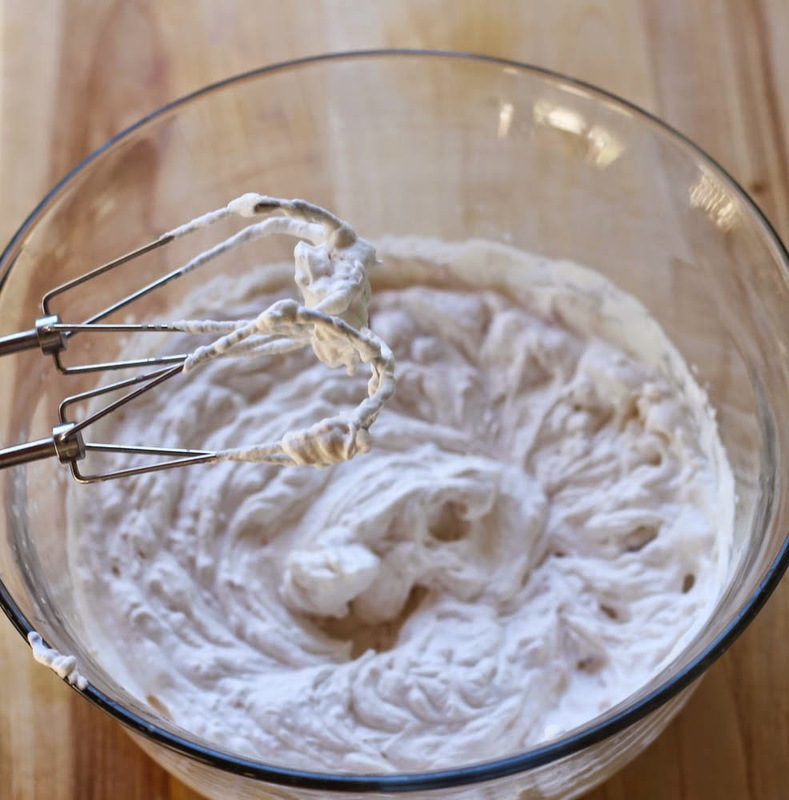 Mix cake mix, pudding mix, eggs, sour cream, warm water, and oil in a large mixing bowl. Blend with an electric mixer until combined. Bake at 350* until the cake springs back slightly when pressed with finger and the sides start to pull away from the sides of the pan. 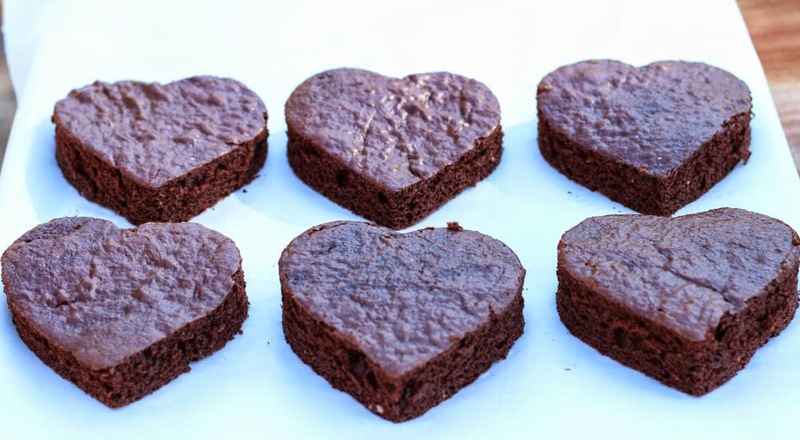 For these heart cakes, using a larger pan, bake for about 20 min. If making a bundt cake, bake for 45-50 min. 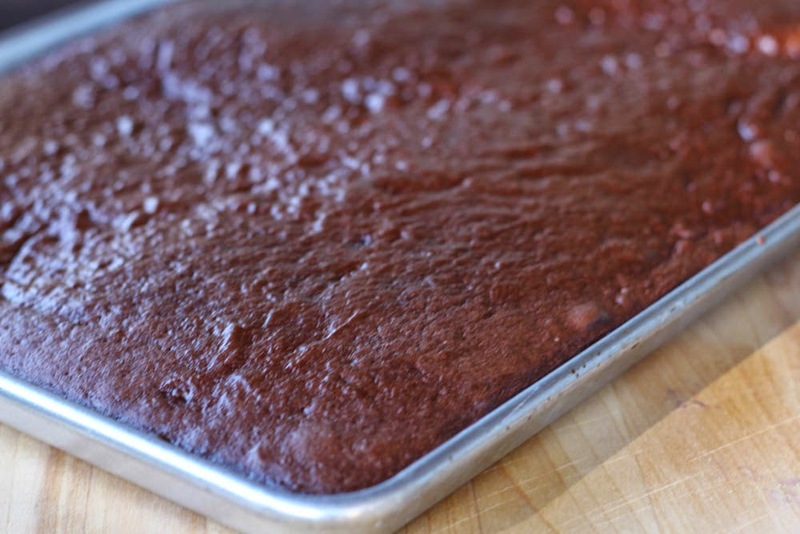 Place cake pan on a cookie sheet to cool. If you made a bundt cake, after 20 min. of cooling, invert the cake onto the cooling rack to finish cooling completely. With a hand held mixer, whip cream in chilled bowl about 8 min. or until soft peaks form. Slowly mix in strawberry preserves and sugar (optional). 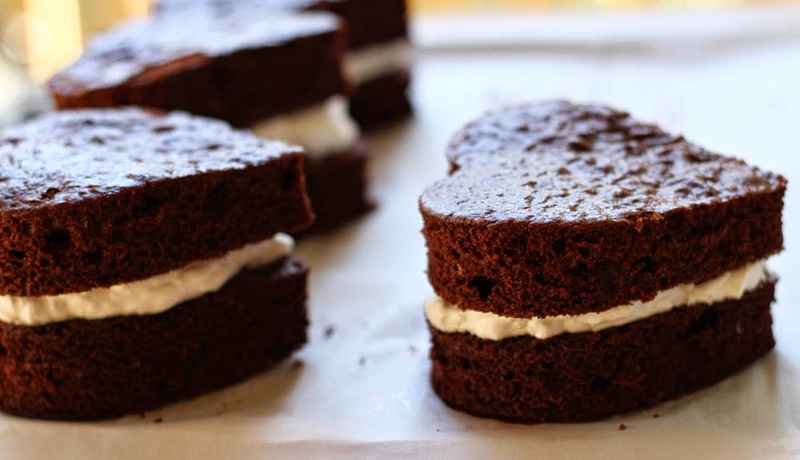 Spread on cooled cakes or store in refrigerator until ready to use. Combine sugar, butter and milk in medium saucepan. Heat on medium heat and bring to a boil. Stir 1 min. after mixture comes to a boil. Icing will slightly harden as it cools.